It’s been a difficult summer for Real Madrid thus far, as they’ve lost two influential figures in their success in recent years. After a trophy-laden stint in charge at the Bernabeu, Zinedine Zidane stepped down from his position as coach at the end of last season with Julen Lopetegui announced as his successor. Further, as confirmed by the club in an official statement earlier this week, Cristiano Ronaldo has been given the green light to leave the reigning European champions after a glittering nine years with the club. In turn, those will be two major blows for Real Madrid to contend with, and it remains to be seen how they respond this summer to ensure that they’re in a strong position to sustain their recent run of winning major honours. According to Mundo Deportivo though, the losses of Zidane and Ronaldo have adversely affected their chances of landing Neymar as it’s claimed that he’s been pushed towards staying at Paris Saint-Germain as he’s not particularly keen to join what is essentially the start of a possible rebuilding process in the Spanish capital. The Brazilian international joined PSG in a whopping €222m deal last summer, as per BBC Sport, and enjoyed an impressive start to life in France as he played his part in their dominance domestically. Nevertheless, in order to take his profile and chances of winning the Champions League to the highest possible level, speculation has been rife of a move to Real Madrid with Mundo Deportivo noting that discussions reportedly took place over a move. 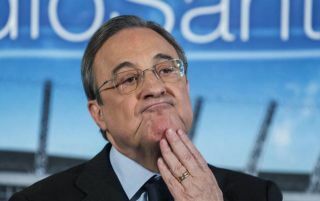 However, this latest update would suggest that the exits of Ronaldo and Zidane could make it harder for Madrid to get their house in order as Lopetegui will have a big task on his hands to avoid a drop off if no significant names are added. What Ronaldo’s exit does perhaps do though is open up space and additional responsibility for the likes of Gareth Bale, Marco Asensio and Isco, but it doesn’t sound as though Neymar will be added to those attacking options for now.